Most golf bettors will probably consider the Dell Technologies Championship as this week's main event but, if backing longshots is your game, Denmark may be a better place to focus upon. As one would expect in a FedEx play-off, the market is dominated by elite talent and TPC Boston is very much a course where the cream rises to the top. Of course, there are dozens of proven winners and likeable types at 99-1 or better but I doubt very many will trade below [20.0]. The Made In Denmark market leaders, all chasing Ryder Cup spots, are also formidable but conditions are entirely different. We've not seen this course on the European Tour so there's plenty of guessing and, at first glance, it looks positive so far as our purposes are concerned. Silkeborg Ry GC is a short, tree-lined par-72. In his comprehensive preview, Steve Rawlings argues the case for following form at other such tracks like Wentworth, Fanling, Crans Sur Sierre and Woburn. That sounds a solid plan and we've seen plenty of upsets there, particularly Wentworth. As money lists draw towards a close, a few promising types from lower tours tend to try their luck on the European Tour in pursuit of a card. For example Lucas Herbert has been making the best of his invites. Hunter Stewart has coped well with the jump from the Canadian Tour over the past fortnight and was shortlisted here at [140.0]. 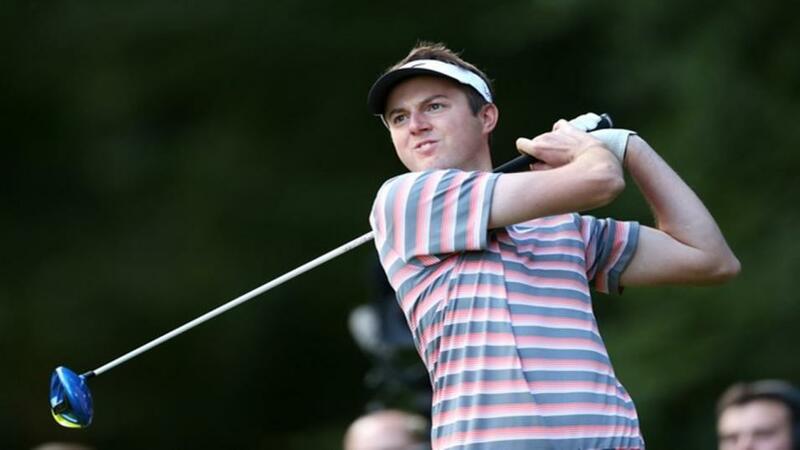 Doug Guim [85.0] is an interesting PGA Tour raider. Preference, though, is for Scott Vincent. Zimbabwe born but educated at Virginia Tech, the 25 year-old has spent three years travelling around various lower tours, making an almost immediate impact on each. Starting out consistently in Canada and South Africa, he's since switched mostly to Asia and impressed in co-sanctioned events when top-four in Indonesia and South Africa. Vincent's last five Asian Tour starts yielded four top-sixes including twice as runner-up, prior to a forgiveable missed cut on his first start in mainland Europe. Following that short acclimatisation, he bounced back with a solid 18th last week, hitting 78% of greens in regulation. He was previously machine-like for that stat, which should be especially important on a parkland course. When Chesters first appeared in the Open as an amateur, particularly when 12th in 2015, he may have been described as a top prospect. As it turns out, he simply doesn't hit it far enough for most courses nowadays but the 28 year-old is still perfectly capable of a breakthrough on a course that suits. This, measuring less than 7,000 yards with a premium on long game accuracy, does. Chesters ranks second among these for driving accuracy and 11th for greens in regulation over the past year - which becomes first and sixth for the last three months. Results have been fair, if typically just short, with top-25s in the Irish and French Opens the most eyecatching along with seventh at the ShotClock Masters. Finally a talented player about whom better was expected in 2018. Pedro Oriol was one of the star Challenge Tour graduates but sits 145th on the Race to Dubai having repeatedly failed to put four good rounds together. Nevertheless, he's precisely the capable type to persist with at huge odds. The key stat in Oriol's case is third among these for strokes gained tee to green, which shows stats aren't everything. There's been no top-tens since the Tshwane Open in March but enough good rounds to think he isn't totally out of form. He closed the Nordea, for example, with 65.